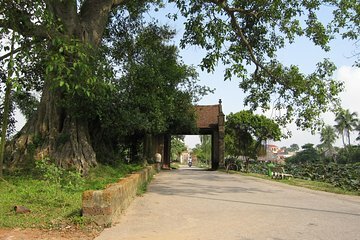 Duong Lam is an ancient village located in the Red River Delta, just over an hour from Hanoi. On this half-day tour, learn about Vietnamese culture and traditions, and experience rural life as you explore Duong Lam, enjoy a walking tour of the historic village, and visit the sacred Thien Phuc Temple. Although the temples were interesting and the guide was good at explaining things, the guide and driver appeared to get lost frequently and we had to stop and ask directions and do u turns. This was a little frustrating.